My Grandma Sivils was one special lady. People called her Flo, Flossy, or her full name Florence but to me, she was always Grandma Sivils. She was my great grandmother, my maternal grandmother's mom. Even though she was in her 80's by the time I was born, as a little girl I knew her as a strong, funny, ingenious, and incredibly kind woman. She was full of life and ready for anything. My mom always tells me what an amazing Grandma she was to her. One of my fondest memories of her was watching her aged but still able hands rolling and forming these rolls. And no matter the season when I'd go visit her in Arizona, I would always ask her to make them. And she always would, even if it was the dead of Summer in the sweltering desert heat. That's just the kind of lady she was. More than willing to please the heart of a 7 year old. The ingredients are few and couldn't be simpler as far as rolls go, but they are so pillowy soft, just begging for a smear of salted butter and jam or honey and I couldn't think of having a Thanksgiving dinner without them. If you make a double batch, you'll have enough to make Thanksgiving leftovers sliders the next day. In a large bowl, dissolve yeast in the water. Add the sugar and stir to combine. Whisk in the oil. Gradually add in the flour and salt until dough forms. 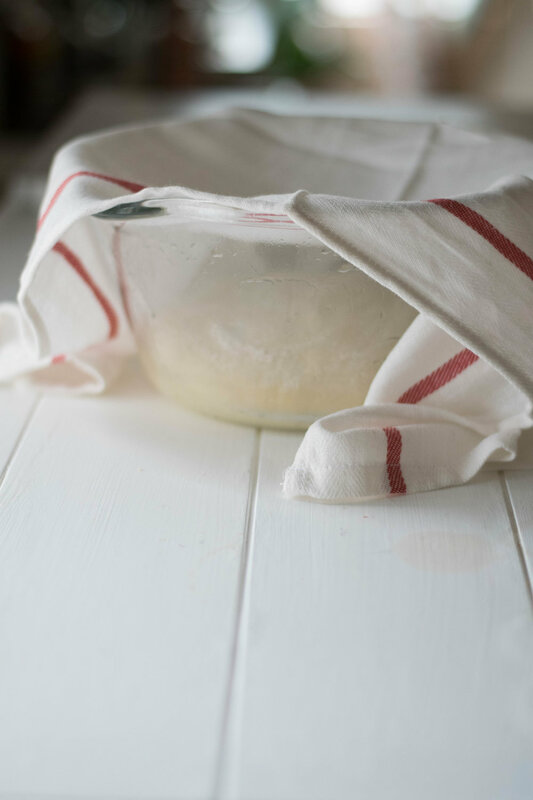 On a floured work surface, knead about 10 times by hand until the dough is smooth and elastic. Place in a large bowl lightly greased with oil and let rise until doubled in size, about 1 hour. Punch down the dough and divide into 16 equal pieces. Roll each piece in a ball, drawing up the sides and pinching them together underneath, so they resemble little dumplings. Arrange in a buttered 9 x 13 inch baking dish and allow to rise again in a warm place until doubled in size. Brush the tops with the melted butter and sprinkle with course sea salt. Bake at 350 degrees for about 30 minutes, until lightly golden brown. Serve warm.